The Priory House Company is pleased to announce the appointment of 27 year old Tom Bond as their new Manager, in succession to Richard Morgan. Tom is just completing a fixed term contract as Student Entrepreneur Ambassador at the University of Wales, Newport. A graduate in Documentary Photography from Newport’s University, Tom served for 2 years as its Student Union President as well as a member of its Governing Body and of the Court of the University of Wales. Among Tom’s other employment has been some work at the Office of the Bishop of Monmouth. Welcoming his appointment, Fr Mark said, “I am pleased we have secured the services of this talented young man. Having worked alongside Tom at both the University and at Bishopstow I know that under Tom’s management exciting things will occur. Simon Bailey, a Director of St Mary’s Priory House Company, said “I would like to thank Richard for his invaluable contribution during his time as Manager at St Mary’s and wish him every success in the future. Richard will finish on 29th February ready to take up his new position as Customer Service Manager for Dulux in March. Plans are well underway for the Medieval Fayre which will take place on Saturday 16th June at St Mary’s Priory, Abergavenny. The Fayre, organised by volunteers from the Learning Service at St Mary’s, hopes to attract families from Monmouthshire and the surrounding areas. Visitors will be able to explore the Medieval Tithe Barn and the historic Priory Church as well as browse the wide variety of stalls. Stallholders from across the region will include: the Burren Bread Company, Naturally Created wooden boards, local brewers, Chantler Teas, Black Mountain Smokery and handmade pies. There will also be a variety of entertainment for the whole family, including a coin striker, bee keepers, representatives from National Parks Association and folk groups. Our Learning Service volunteers will be dressing up in traditional Tudor costume, handmade using authentic techniques, and making peg dolls with the children. The ladies who worked on the Abergavenny Tapestry project will be on hand to demonstrate techniques in small workshops. 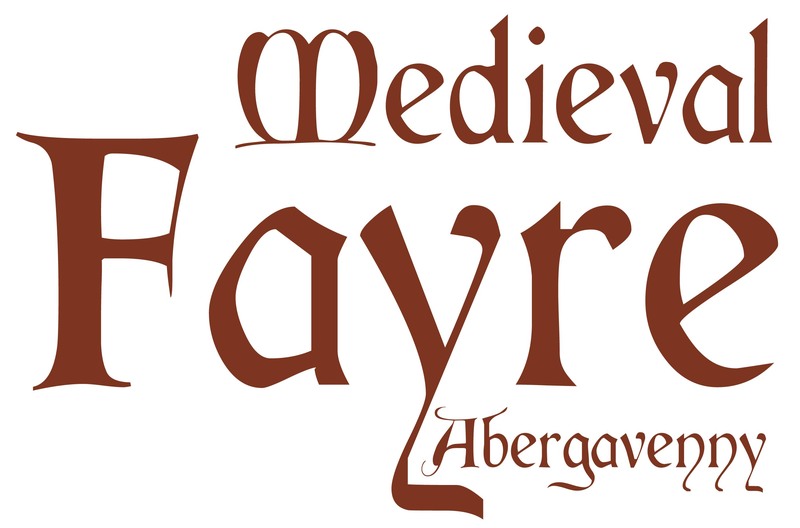 For more information about the Medieval Fayre, please follow us on Twitter. If you are interested in having your own stall, please do not hesitate to contact the Learning Service secretary for more information. Shrove Tuesday is the day before Ash Wednesday, the first day of Lent. It is a day of penitence to clean the soul; Shrove Tuesday gets its name from the ritual of shriving that Christians used to undergo in the past. Lent is a time of abstinence and of giving things up; Shrove Tuesday, therefore, is the last chance to indulge yourself and to use up the foods that aren’t allowed in Lent such as meat and fish, fats, eggs, and milky foods. Families would have feast on the shriving Tuesday to use up the food that would not last the forty days of Lent without going off. Traditionally, pancakes were made to use up all the eggs, fats and milk in the house with just the addition of flour. Pancake races are often held in villages and towns throughout the country on Shrove Tuesday. The contestants, traditionally women, carry a frying pan and race to the finishing line while tossing the pancakes as they go. The winner is the first to cross the line having tossed the pancake a certain number of times. Traditionally, when men want to participate, they must dress up as a housewife usually an apron and a bandanna. Pancake races are thought to have begun in 1445. A woman had lost track of the time on Shrove Tuesday, and was busy cooking pancakes in her kitchen. Suddenly she heard the church bell ringing to call the faithful to church for confession. The woman raced out of her house and ran all the way to church; still holding her frying pan and wearing her apron. Every year, members of the Mothers Union at St Mary’s Priory make and sell pancakes in the Priory Centre; monies raised from the sale of pancakes are given to support the work of the Mothers Union in the parish. For more information about Lent at St Mary’s Priory, please visit the blog. The first recorded pancake race was in Olney, Buckinghamshire in 1445. The largest number of pancakes tossed in the shortest amount of time in the UK is 349 tosses in 2 minutes (Dean Gould at Felixstowe, Suffolk, 14 January 1995). The largest pancake ever made and flipped measured 15.01m wide, 2.5cm deep and weighed 3 tonnes (Rochdale, Greater Manchester, August 1994). It is customary in France to touch the handle of the frying pan and make a wish while the pancake is turned, holding a coin in one hand. British people will eat a staggering 52 million eggs on Shrove Tuesday – that’s 22 million more than on a regular day. Maple syrup which is often used as a topping, was originally a sweet drink which was discovered by the Algonquin Indians. To make this drink, sap was collected from Canadian sugar maple trees and next it was boiled. More than half of us prefer pancakes with just lemon and a little sugar. More adventurous pancake aficionados will be opting for maple syrup, chocolate sauce or even cheese on Shrove Tuesday. Why not tweet us your favourite topping and read the results on our blog! 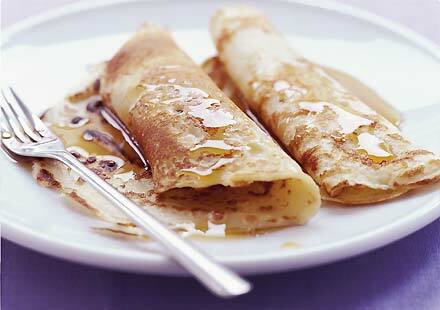 Shrove Tuesday has crêped up on us once again, so why not try this flipping good recipe! Sift the flour and the salt into a bowl so the flour gets an airing. Make a well in the centre of the flour and crack in the two eggs. Lightly whisk the eggs into the flour gradually adding the milk and water mixture until you reach a smooth creamy texture. Melt the butter in a pan and then spoon 2tbsp of it into the batter mixture. Keep the remainder of the melted butter separate to lubricate the pan. Get the pan really hot and then turn the temperature down to a medium heat. Spoon about 2 tbsps of the the batter mixture into the pan with a ladle and move the pan to ensure the bottom is covered by the mixture. With a palette knife, lift the underside of the pancake to ensure that it has cooked before flipping to cook the other side. …why not Tweet us with your favourite filling or topping? The website, designed by local web designers David and Angela Siddall, will be much easier to navigate. It will be a dynamic site with links to blogs for the Priory Church, Tithe Barn and Priory Centre which can be regularly updated by the Church community and also include live Twitter feeds.